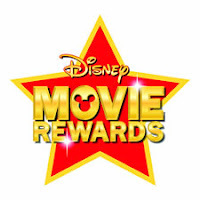 If you are a member of Disney Movie Rewards, hurry on over and redeem the newest Disney Movie Rewards code worth 5o Disney Movie Rewards points. I've received some great items through Disney Movie Rewards: $20 Disney gift card, three DVD's and a coupon for free Pop Secret popcorn! Thank you to One Momma Saving Money‏ for sharing this great Disney movie rewards code.